As military spouses, we often find ourselves having to know a little something about practically everything at any given time. Or, at least, we have to know where to go to get that knowledge. In the old days, we either relied on the chain of command or on other spouses for any nuggets of wisdom to help make our lives easier. Thankfully, times have changed. Being a Military Spouse is said to be the toughest job in the Military. It is a hard job and has big shoes to be filled. But it CAN be done. We hope you find this section helpful. Remember that you are not alone in all of this. Be proud that you are too one of the few. “Don’t turn your back on your old friends just because you have a new life. It will get harder to stay in touch, but the time you take to work at those friendships will pay off when you do get to go ‘home.’” i have my best friend of 10 years back home, and if i feel like there is o one who understands me, she ALWAYS has my back. PLEASE TAKE THE FOLLOWING AND APPLY TO YOUR SITUATIONS AS YOU SEE FIT. Chasin hungry babies and tryin to get em fed. Gotta get one to daycare, and set the oldest one straight. Wish you were here, but I know why you’re there. Kids bathed and tucked soundly in bed. It takes my breath away, when she says I miss my daddy so. I smell ya like ya next to me and I somehow feel alright. Every hard thing happens and the radio plays every sad song. Then comes the weather with its never-ending rain. It was just another harried Wednesday afternoon trip to the commissary (grocery store on military bases). My husband was off teaching young men to fly. My daughters were going about their daily activities knowing I would return to them at the appointed time, bearing, among other things, their favorite fruit snacks, frozen pizza, and all the little extras that never had to be written down on a grocery list. My grocery list, by the way, was in my 16-month-old daughter’s mouth, and I was lamenting the fact that the next four aisles of needed items would wait while extracting the last of my list from my daughter’s mouth, when I nearly ran over an old man. This man clearly had no appreciation for the fact that I had 45 minutes left to finish the grocery shopping, pick up my 4-year old from tumbling class, and get to school, where my 12-year-old and her carpool mates would be waiting. I knew men didn’t belong in a commissary, and this old guy was no exception. He stood in front of the soap selection staring blankly, as if he’d never had to choose a bar of soap in his life. I was ready to bark an order at him when I realized there was a tear on his face. Instantly, this grocery aisle roadblock transformed into a human…”Can I help you find something?” I asked. He hesitated, and then told me he was looking for soap. Chills ran down my spine. I don’t think the 22,000-pound Mother of all Bombs could have had the same impact. As tears welled up in my eyes, my half-eaten grocery list didn’t seem so important. Neither did fruit snacks or frozen pizza. I spent the remainder of my time in the commissary that day listening to a man tell the story of how important his wife was to him — how she took care of their children while he served our country. A retired, decorated World War II pilot who flew missions to protect Americans still needed the protection of a woman who served him at home. My life was forever changed that day. Every time my husband works too late or leaves before the crack of dawn, I try to remember the sense of importance I felt that day in the commissary. Some times the monotony of laundry, housecleaning, grocery shopping, and taxi driving leaves military wives feeling empty — the kind of emptiness that is rarely fulfilled when our husbands come home and don’t want to or can’t talk about work. Other spouses get married and look forward to building equity in a home and putting down family roots. Military spouses get married and know they’ll live in base housing or rent, and their roots must be short so they can be transplanted frequently. Other spouses decorate a home with flair and personality that will last a lifetime. 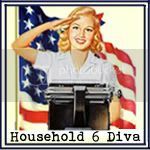 Military spouses decorate a home with flare tempered with the knowledge that no two base houses have the same size windows or same size rooms. Curtains have to be flexible and multiple sets are a plus. Furniture must fit like puzzle pieces. Other spouses have living rooms that are immaculate and seldom used. Military spouses have immaculate living room/dining room combos. The coffee table got a scratch or two moving from Germany, but it still looks pretty good. Other spouses say goodbye to their spouse for a business trip and know they won’t see them for a week. They are lonely, but can survive. Military spouses say good-bye to their deploying spouse and know they won’t see them for months, or a year, or longer. They are lonely, but will survive. Other spouses, when a washer hose blows off, call Maytag and then write a check out for having the hose reconnected. Military spouses have to cut the water off and fix it themselves. Other spouses get used to saying “hello” to friends they see all the time. Military spouses get used to saying “goodbye” to friends made the last two years. Other spouses worry about whether their child will be class president next year. Military spouses worry about whether their child will be accepted in yet another school next year and whether that school will be the worst in the city…again. Other spouses can count on spouse participation in special events…birthdays, anniversaries, concerts, football games, graduation, and even the birth of a child. Military spouses only count on each other; because they realize that the flag has to come first if freedom is to survive. It has to be that way. Other spouses put up yellow ribbons when the troops are imperiled across the globe and take them down when the troops come home. Military spouses wear yellow ribbons around their hearts and they never go away. Other spouses worry about being late for mom’s Thanksgiving dinner. Military spouses worry about getting back from Japan in time for dad’s funeral. The television program showing an elderly lady putting a card down in front of a long, black wall that has names on it touches other spouses. The card simply says, “Happy Birthday, Sweetheart. You would have been sixty today.” A military spouse is the lady with the card, and the wall is the Vietnam Memorial. I would NEVER say military spouses are better than other spouses. But I will say there is a difference. I will say, without hesitation, that military spouses pay just as high a price for freedom as do their active duty husbands and wives. Perhaps the price they pay is even higher. Dying in service to our country isn’t near as hard as loving someone who has died in service to our country, and having to live without them. God bless our military spouses for all they freely give. When you enter into a lease agreement, be sure your lease has a military clause in it. This clause differs from state to state but generally allows you to break your lease under certain conditions because your soldier is in the military. Some landlords will let you add a clause that allows you to break the lease if you are offered military housing but this is uncommon. Be sure that the military clause covers everyone who signs the lease. Some couples have run into problems when the landlord only let the military person out of the lease and would not let the Army spouse out of it. Be sure it is explicitly stated that the entire lease is cancelled and not just that the military service person is covered by the clause. The housing office can help you with this if you are unsure of the wording of your lease. Do NOT sign without this clause. You never know when the Army may decide to move you and you do not want to be stuck with monstrous fees if you have to move. Also, if your spouse is deployed, this clause allows you to break the lease and move back home if you would like. Most military clauses will require you to give a 30 day written notice. If you do this, you should be able to break your lease without penalty under the circumstances listed here. Be aware that if your lease requires certain things must be done when you move out (such as having the carpet cleaned), this is still required. The military clause does not exempt that requirement.